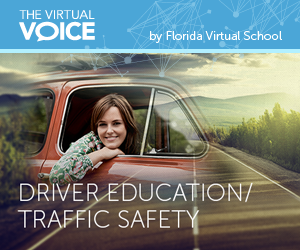 Florida Virtual School students will now be able to take the Florida learner’s license exam for free online after completing the Driver Education/Traffic Safety course! FLVS has partnered with DriversEd.com to grant students a waiver for one free permit exam, worth $24.95, along with 50 practice exams. Additionally, the course, which is also free, fulfills the state’s Traffic Laws and Substance Abuse Education four-hour course requirement, awards high school students a half credit elective, provides possibility for insurance discounts, and offers “behind the wheel training” for Orange and Polk county residents. To qualify, students must be at least 14 and one-half years old to take the course and 15 years old to take the exam, and successfully complete the course by receiving a passing grade. After passing the online exam, the Florida Department of Highway Safety and Motor Vehicles will be notified. To obtain their permit, the student must then visit their local DHSMV office. The organization created Gather Go Get which compiles a checklist of the documents students will need to obtain their permit. This post was written by Florida Virtual School student Lauren Mackey and originally published by the FLVS student newspaper, News in a Click. This entry was posted in Homeschool Edition, Parent Edition and tagged department of high safety and motor vehicles, dhsmv, driver education and traffic safety, Driver's Ed, drivers education, driversed.com, florida driving permit, florida learner's license, florida license exam, florida permit exam, Florida Virtual School, FLVS, free driver license exam, gather go get on August 17, 2015 by Guest Blogger. Where can I learn more about the Driver’s Ed course? Visit http://www.flvs.net/driversed for more information! If you have any specific questions, let us know. My son completed the FLVS drivers Ed course with a final grade of A. He completed the course during the 2017-2018 school year. How does he get to take the free online permit test? The free online permit test is available through https://driversed.com/florida/teen-drivers-ed.aspx. You can reach out to his former teacher or give us a call at 800-374-1430 for more information! How long is the FLVS course? The average pace chart follows a 6-week schedule, but students can complete the work faster or slower following a schedule that works for them! So 6 weeks. The other online courses which fulfil the same florida learner drivers requirements is only 4-8 hours. 4 hours for the drug portion and a few additional hours for the other. that is what I need to know… HOW MANY HOURS work is the FLVS? Not it will take as long as 6 weeks, if a kid sits in a weekend and does this course, how many hours will it take an A/B student to get thru it. is this the actual DHSMV test? If you give us a call at 800-374-1430, we should be able to look into this and provide more information.